while looking for wild wedding florals i came across this blog. Thank you! I will be reading so much more of what you’ve written and photographed here. Thank you and welcome. 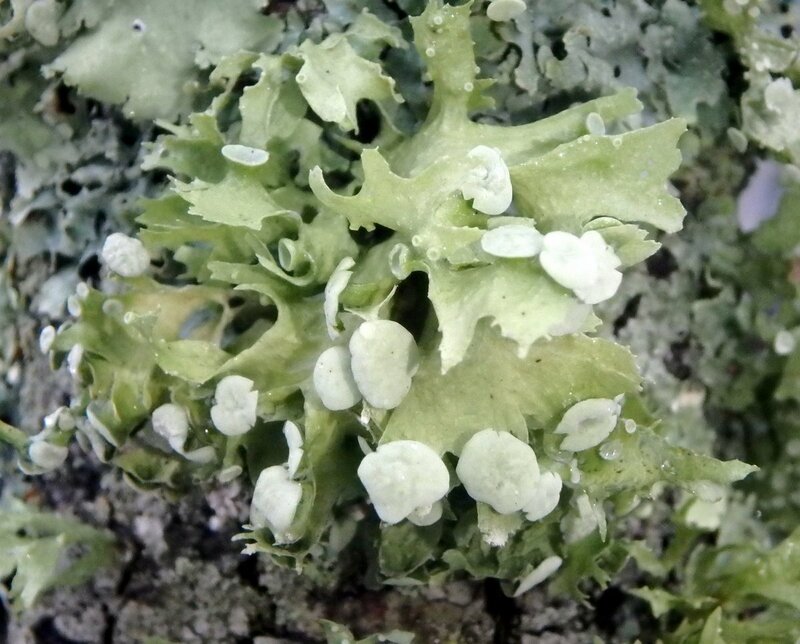 Lichens might make a pretty boquet but it would be a small one! That script lichen is really fascinating. Looks like an ancient cuneiform language. Thanks, I think so to! I have never seen that ramalina fastigiata. My book says that it is widespread but not common which may explain that. I’ve heard from one who knows that it’s very susceptible to pollution and that it has become rare here these days. Apparently it was doing better in 1902, which is when the book I read was written. These are a beautiful selection of lichens, Allen. Thank you! 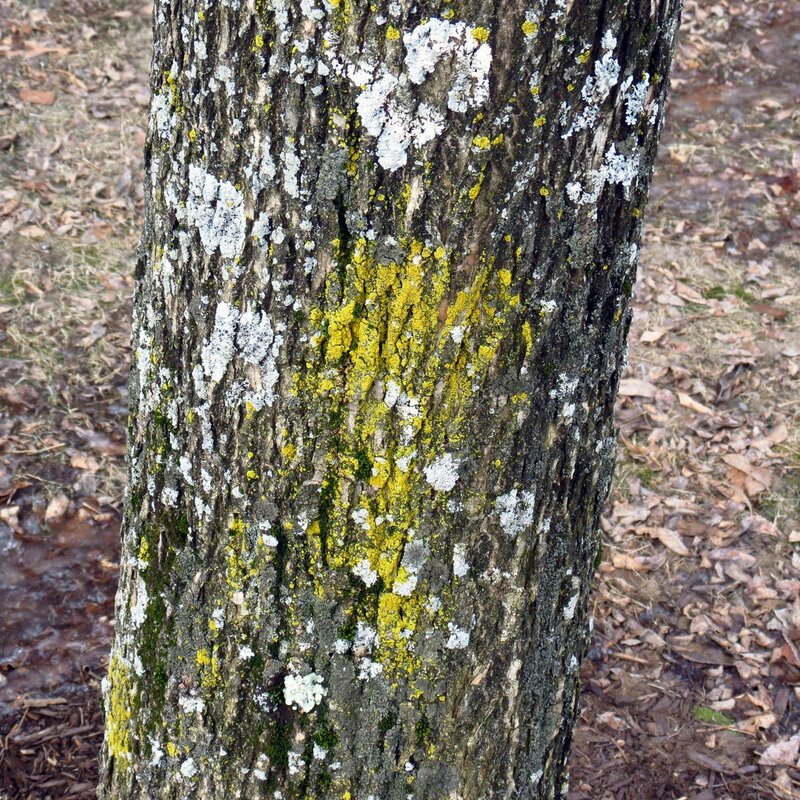 The lichens in the trees in our area are swollen with the winter rains. Trees can be so heavily festooned they look look grey-green from a distance. You’re welcome Lavinia. Yes, lichens love the rain. I’m guessing that’s why you see so many. 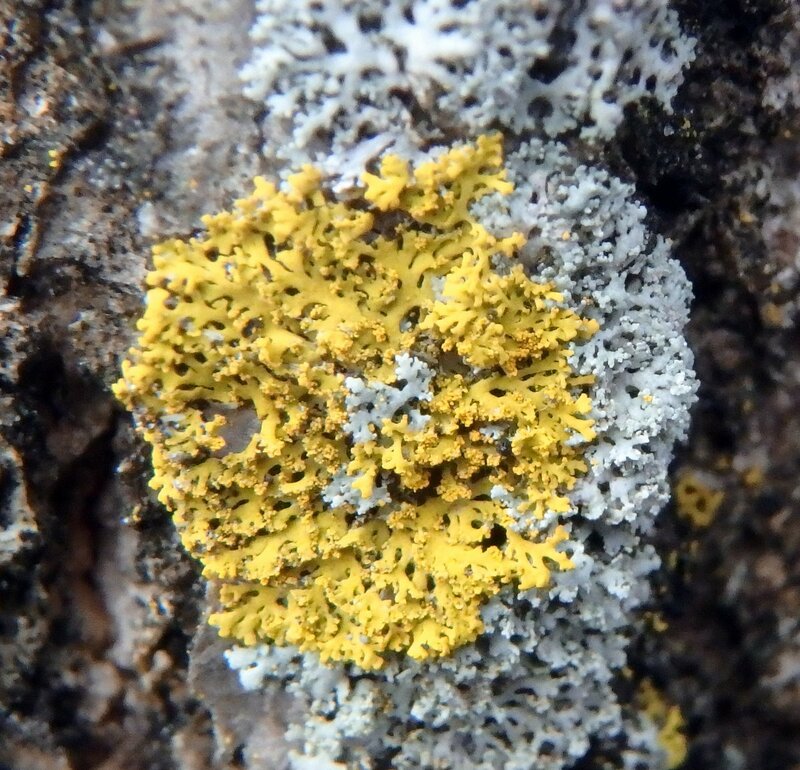 I love seeing the variety of lichens that you have there. So interesting! Thanks Montucky! We’re lucky enough to have many thousands of different lichens here. Look to the trees. Hope the doctor’s visit went all right. Thank you Laurie. Yes, it was fairly routine and unexciting the way they should all be. So beautiful and so colourful, thank you for opening my eyes. Thank you Susan. I doubt anyone could ever see all there is to see out there, even in our own yard. A lovely little world whose small creatures look as though they have come to Earth from another planet. Thank you Ben. 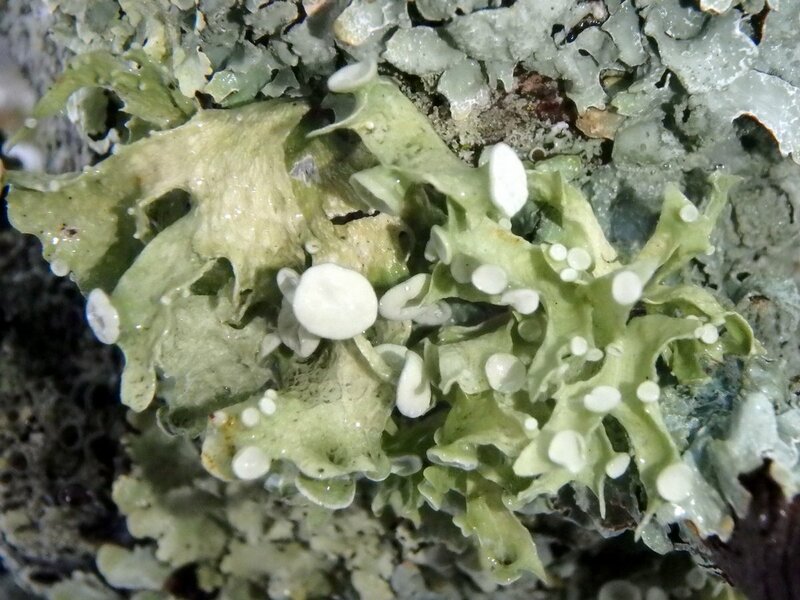 There are those who believe that of all life on earth lichens have the best chance of colonizing another planet, so you might not be far off! 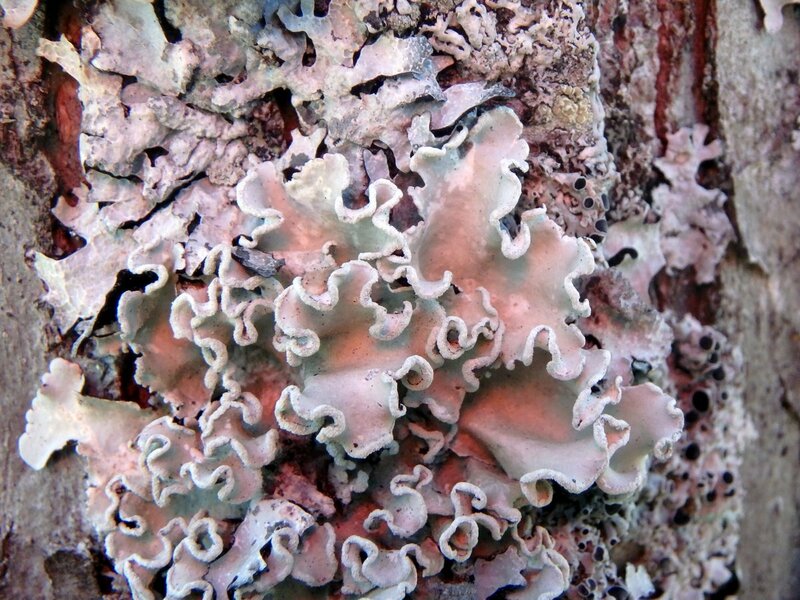 I find lichens fascinating. You could not have found a more apt quote! Thank you Susan, me too! Thoreau and I think a lot alike, I guess. 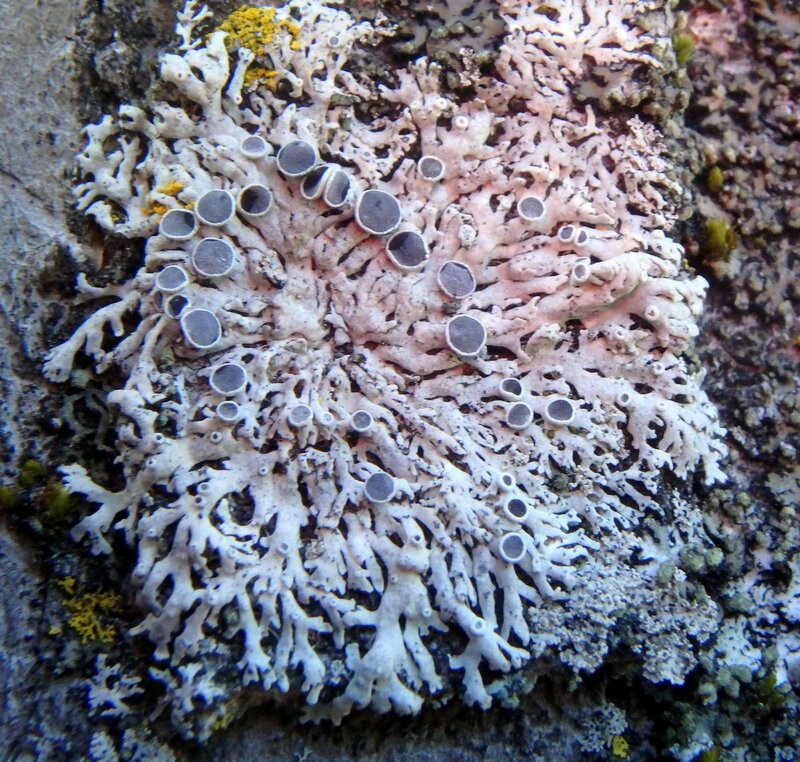 These lichen are amazing! 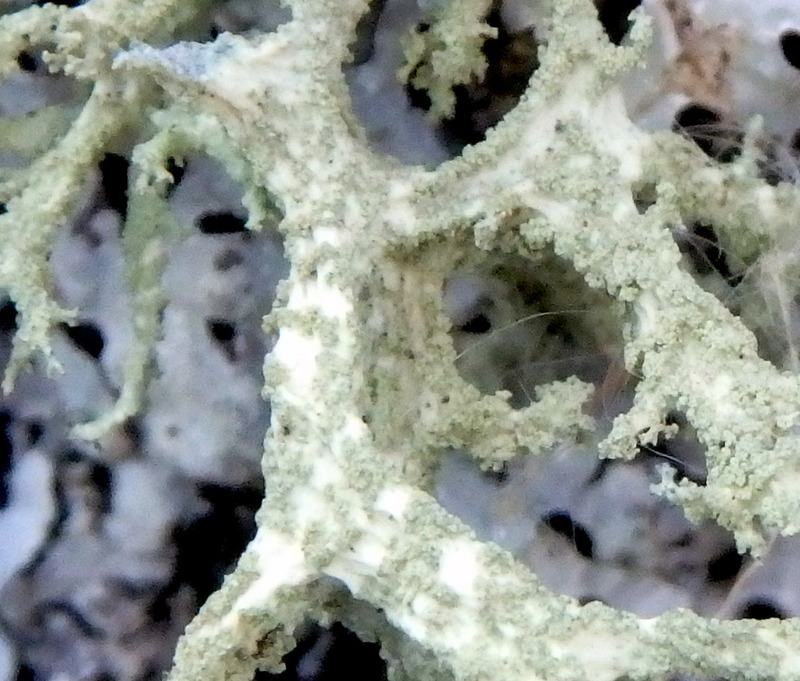 The tufted ramalina lichen, the star rosette, so unusual. 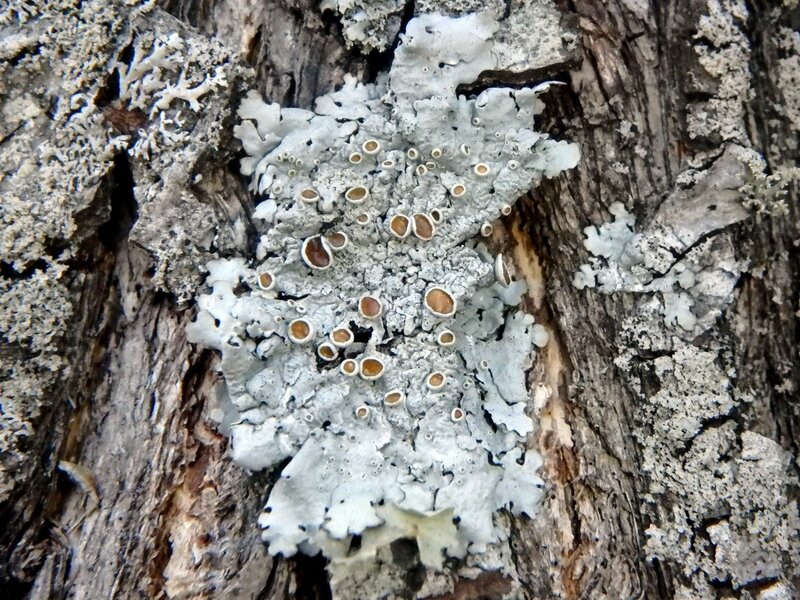 I look at lichen on the trees here and to me they all seem more the same than all these varieties. Some of the common names are so descriptive, and the science behind it is interesting. I guess I will have to try harder to find more variety in the lichen I see on my walks. Thanks again. Thanks Chris! 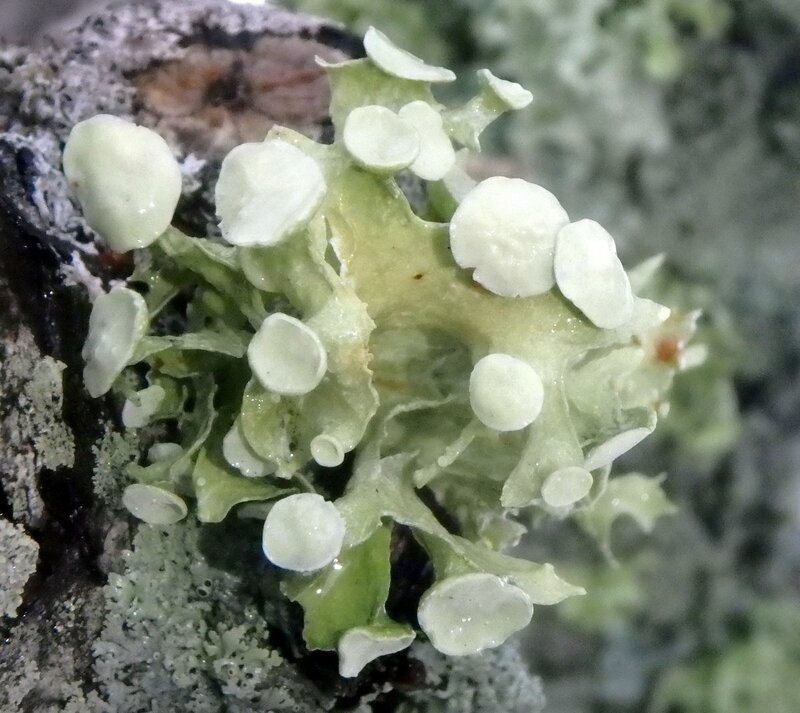 Often the most common lichens are the biggest as well, like common greenshield. Most of these I’ve shown are hardly as big as a penny, so you have to look closely and even use a loupe to see what you see here. I often imagine people asking “why does that guy have his face against that tree?” It’s because you have to get that close to see the lichens! 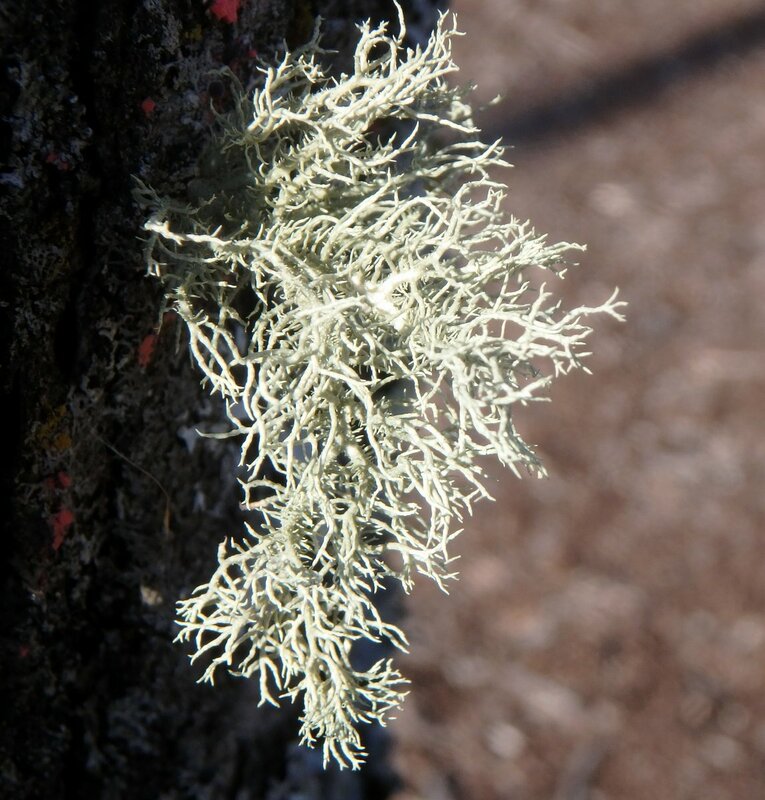 I see Ramalina lichens a lot but nearly always on planted Bradford pear trees in parking lots. 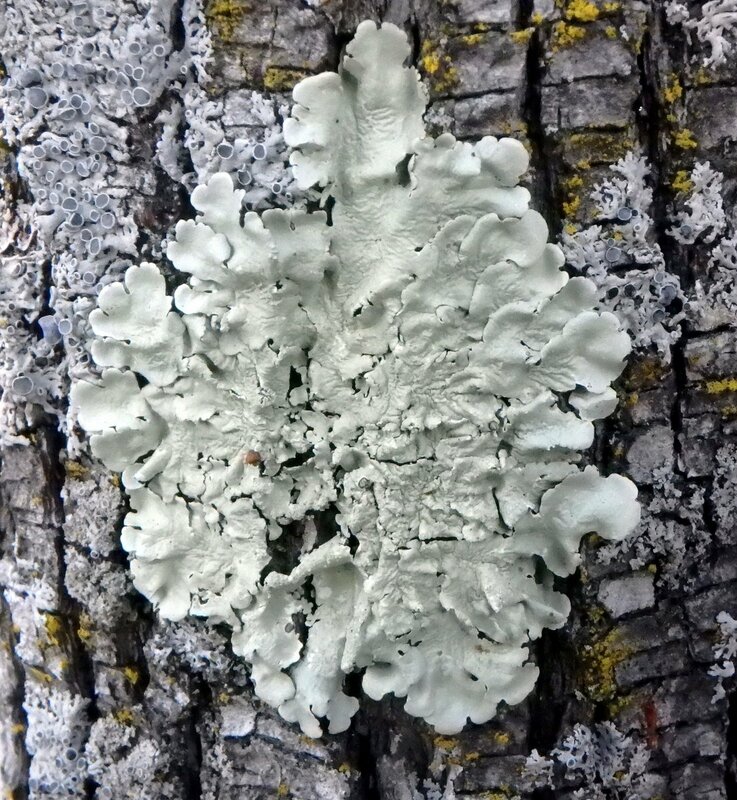 In fact 3-inch diameter planted trees in the middle of lawns or lots are the very best places for interesting lichen collections in my area. Thank you Sara. 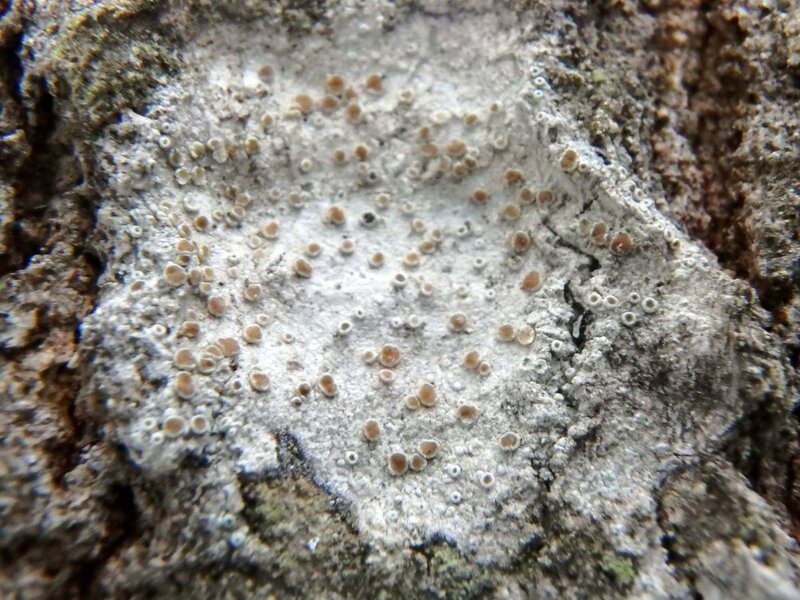 I think we have all of the lichens here that you mentioned and I think your Candelaria concolor might even be the same lichen that I called Candelaria fibrosa. 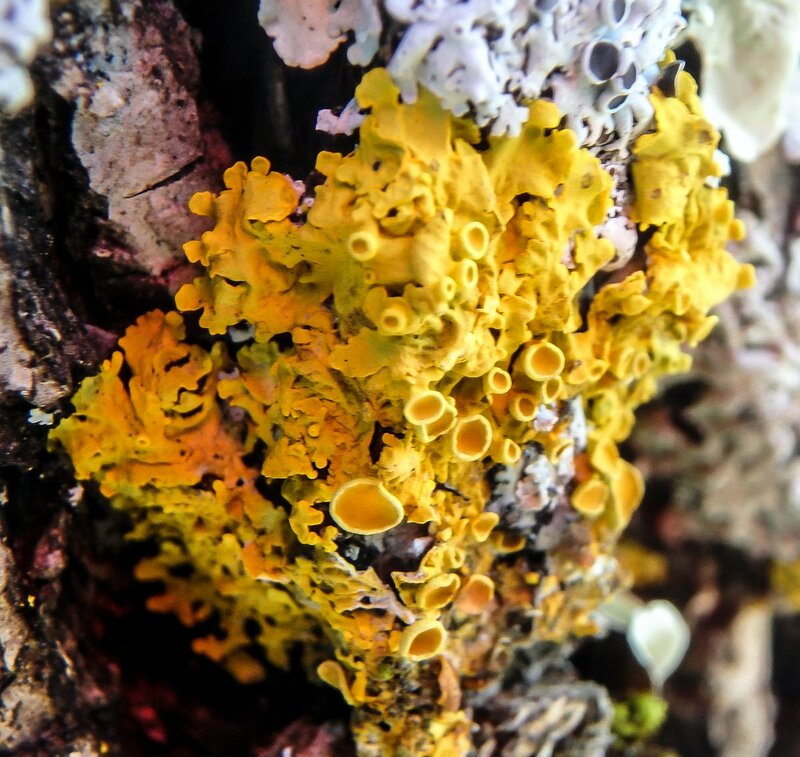 Though I look at many lichens I try to use my idea of the prettiest or showiest lichens for these posts, because I’m trying to get people interested and give them something to do outside in winter. 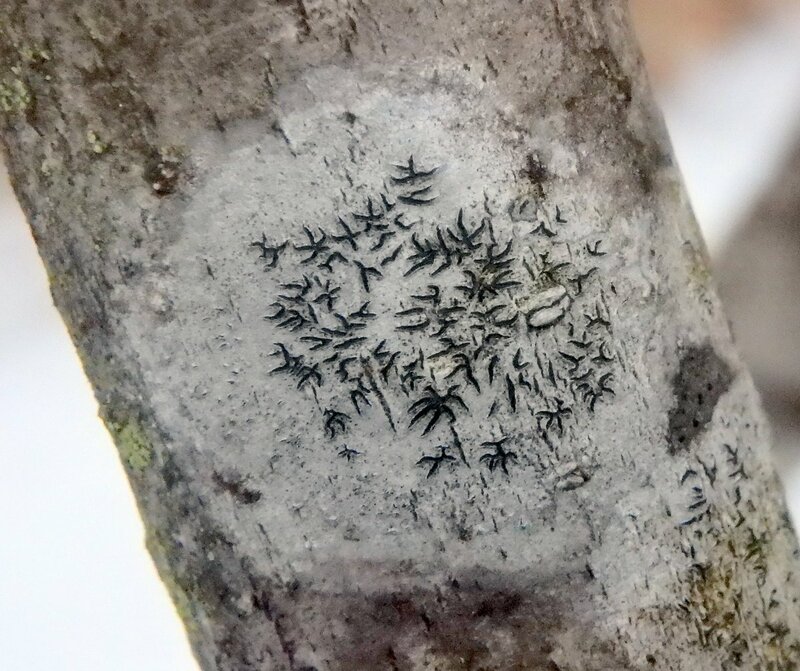 These ramalina lichens were on planted trees but they were not bradford pears. If I went by the fruit I’d have to say crabapple but I won’t be sure until spring. 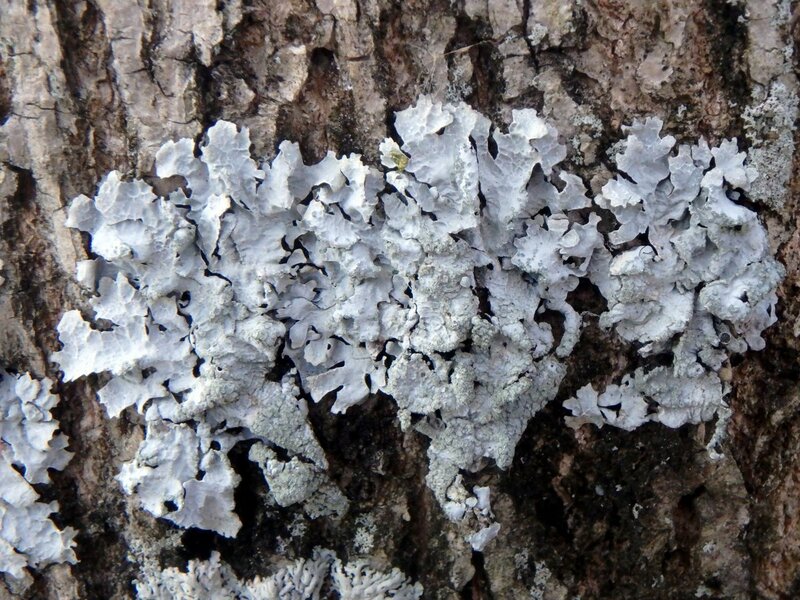 But yes, I do agree that those kinds of trees are great for finding lichens on! This was a very interesting post. I’ve always found lichens to be somewhat enchanting and have hauled many home over the years, growing on dead, fallen branches. I have one now that is bristly beard, the other I’m not sure (grey, flat, ruffled edges). They are sharing the same 8″, thumb sized branch and are mixed together. Are they still alive? How does one know? I’m so enjoying reading about your rambles 😊. Thank you Ginny. Yes, your lichens are still alive and if you put them outside on a warm, rainy day you should see a change come over them. Where they are crisp now they will be rubbery after a rain, and they might change color as well. 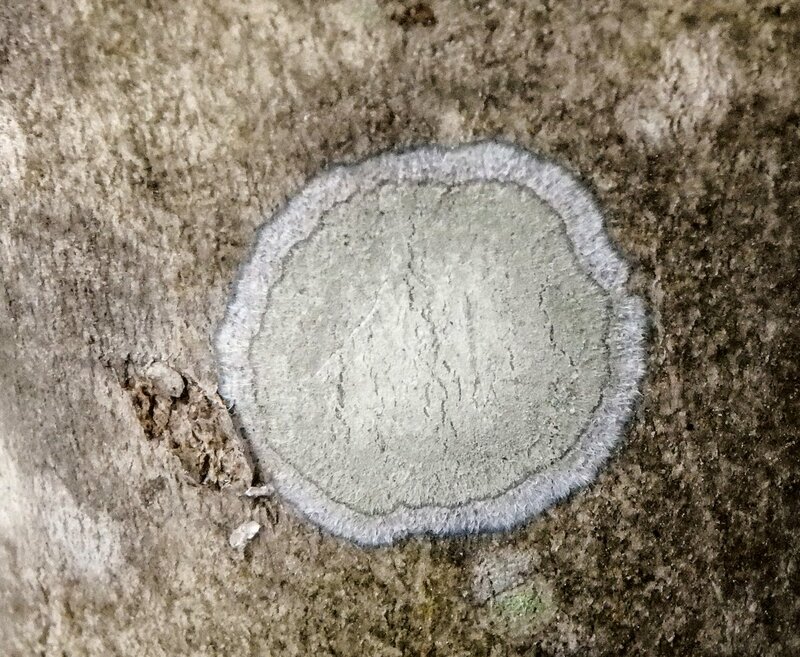 If nothing else lichens are patient and they will sit on that branch inside your house for a lifetime, just waiting for the right conditions to produce spores. I suspect, when I’m gone, someone will ask “What was he doing with these old things?” and will throw all of mine out the back door into the woods where they came from. 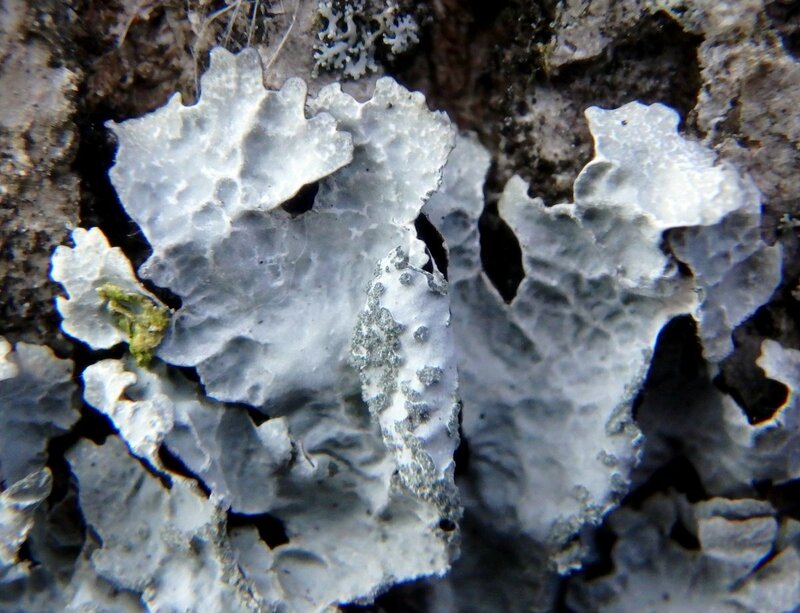 Then they’ll just go back to doing what lichens do.